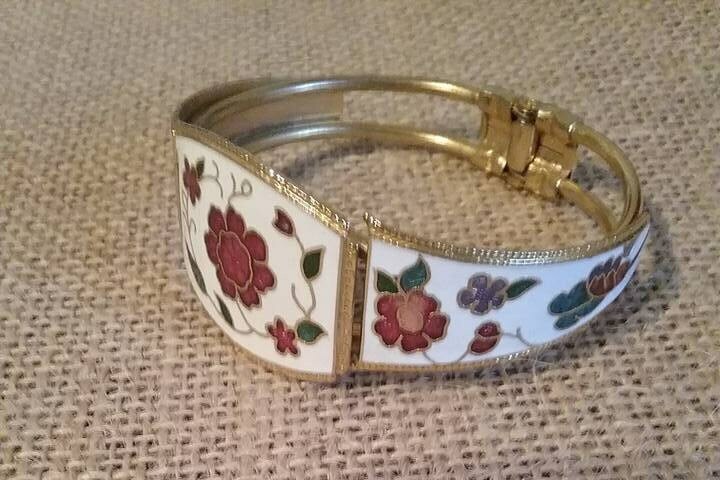 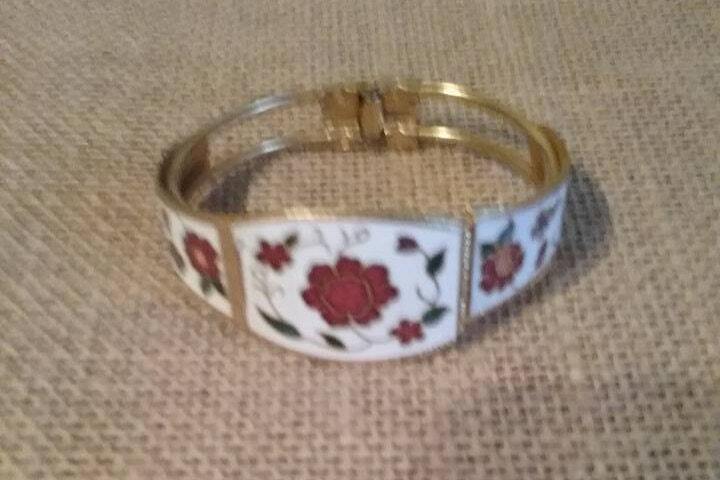 Bright floral enamel cloisonne bracelet/cuff. 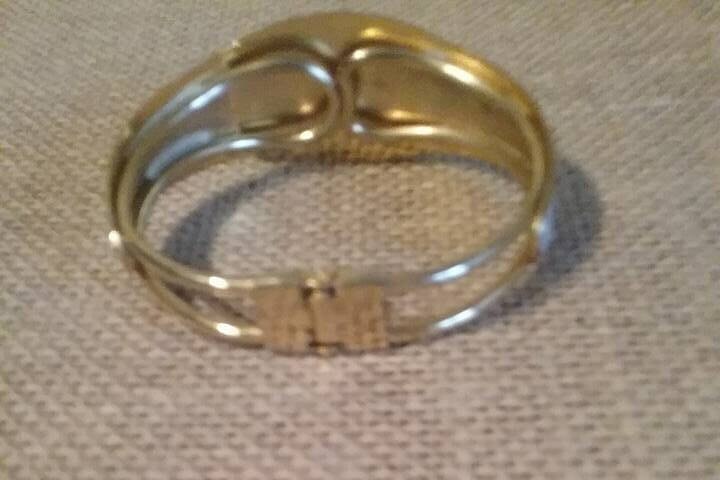 Hinged clamped vintage cuff. 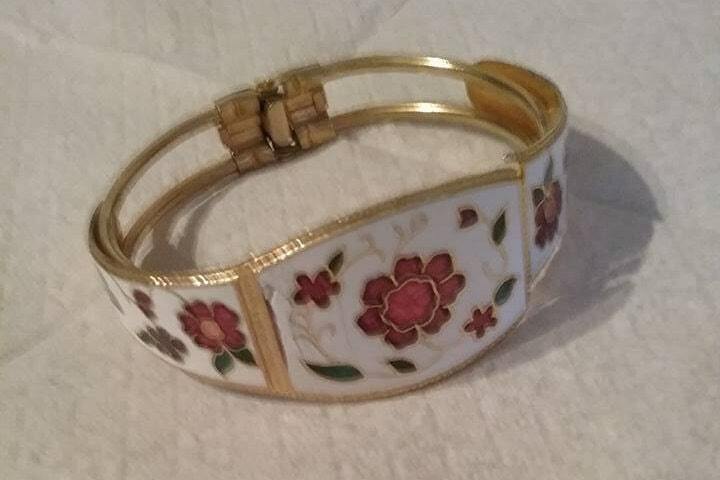 gold plated and in excellent vintage condition.